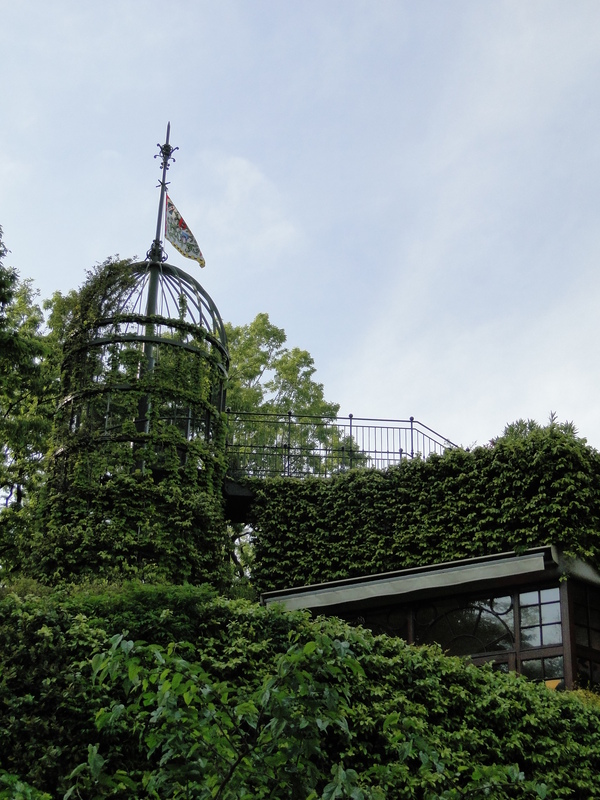 After shopping in Shinjuku and Shibuya, I went to the Ghibli Museum, which I having been meaning to visit since I discovered it existed. For those who don’t know – Studio Ghibli is the production studio that Hayao Miyazaki co-founded with his friend, Isao Takahata. Ghibli has produced Laputa: Castle in the Sky, My Neighbor Totoro, Kiki’s Delivery Service (my personal favorite), Porco Rosso, Princess Mononoke, Spirited Away, Howl’s Moving Castle, Ponyo, The Secret World of Arrietty, and From Up on Poppy Hill, which I hear has been released in the US. Has anyone seen it? I’m not sure how well it would translate from a Japanese audience to a foreign one. 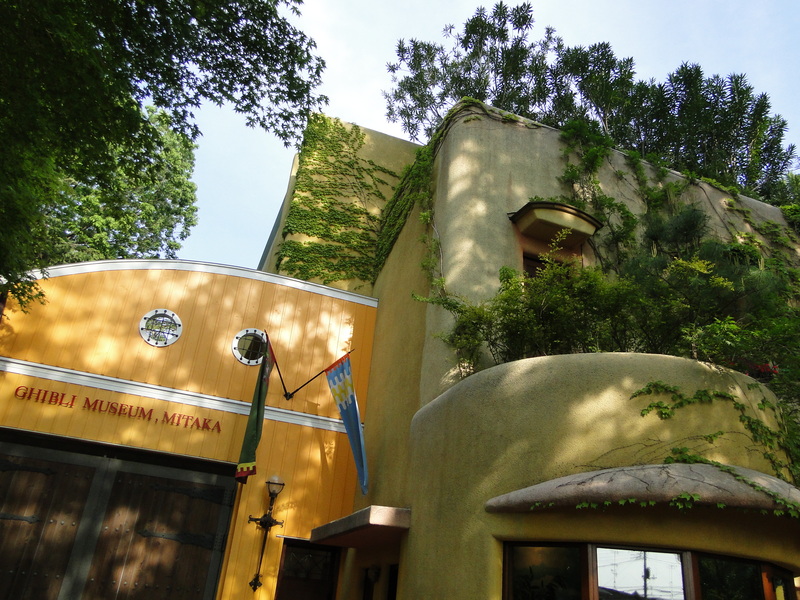 Anyway, they have a museum out in Mitaka, which is in Tokyo between the city center and Yokohama(-ish). 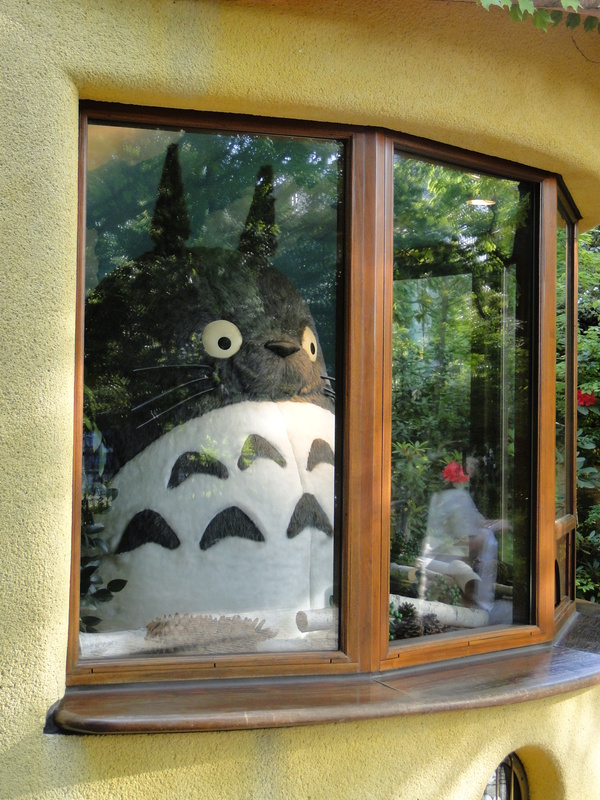 Maybe museum isn’t quite the right word – they have a room about zoetropes, a re-creation of Miyazaki’s drawing studio, an exclusive short film, and a giant stuffed catbus for children to clamber on. If you go, go for the hand-drawn sketches in the drawing studio, the short film, and the building itself, which is adorable and full of Ghibli themed stained glass windows. Maybe the catbus if you have wee children. The film changes four times a year, so it’s worth going back if you want to see Ghibli shorts that you’re unable to see anywhere else. Pictures are not allowed within the museum and you have to purchase tickets in advance. If you’re in the country, you can buy them from any Lawson convenience store. The museum website has an English version for overseas travelers. The museum has a gift shop which is…not worth it in my opinion. Go if you want a museum exclusive pin or t-shirt, or maybe something from the exclusive short films, but otherwise you’ll have better luck at any of the other Ghibli stores around the country. And you won’t get elbowed in the kidneys quite so many times. 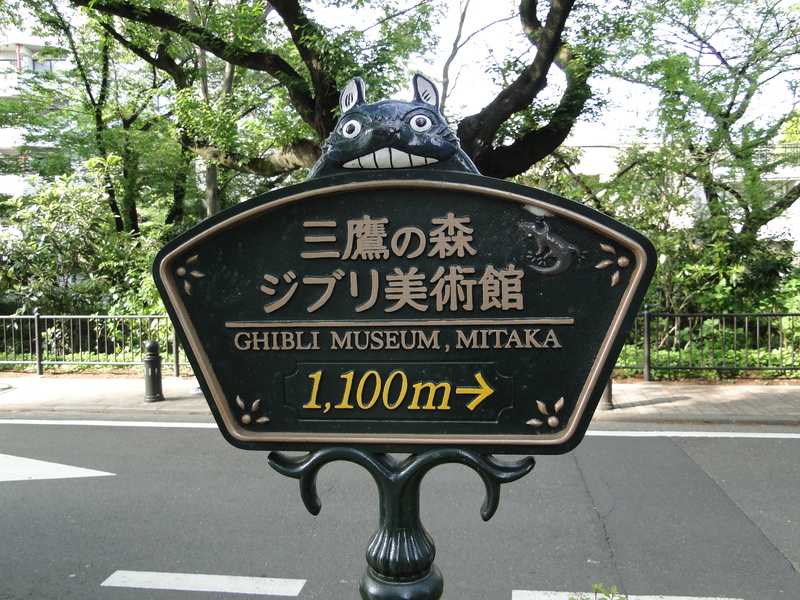 Mostly, it was fun to see a whole building dedicated to Ghibli, along with a bunch of other Ghibli fans (don’t worry about being an adult at a kid’s museum, it’s definitely all ages oriented – my thirty-something male supervisor went last week, without a hint of embarrassment). 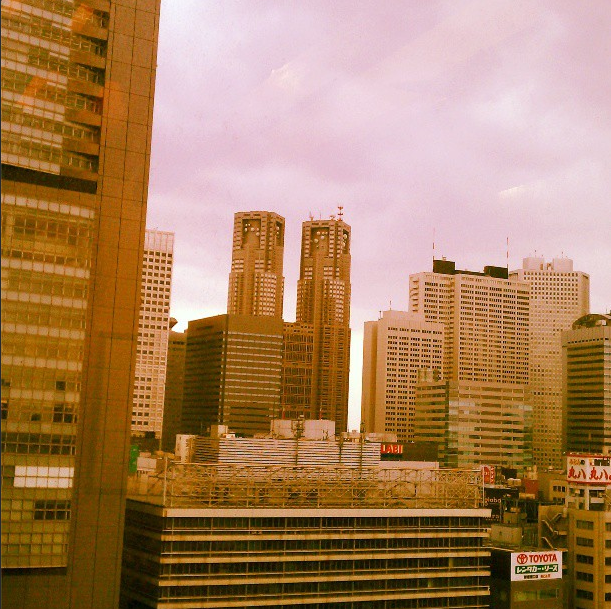 Shinjuku and Shibuya are two busy neighbors in western Central Tokyo, only a few trains stops away from each other. Shinjuku has the world’s busiest train station (as certified by Guinness, Wikipedia tells me). It’s even busier than Tokyo station, which is more focused on being the national transport hub for the shinkansen. Worse, there are 200 possible exits, which means you could surface only to find yourself down the street from the Tokyo Metropolitan Government Building, almost a mile from the bookstore you were aiming for. 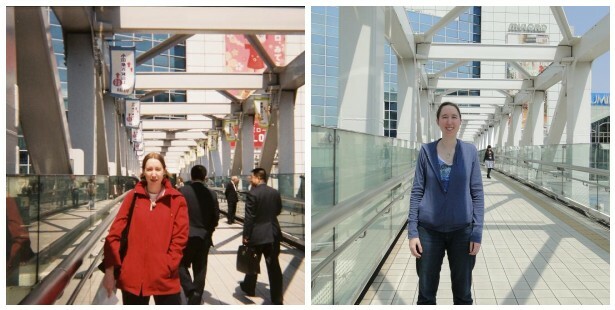 I mostly went for shopping (Kinokuniya South in Shinjuku has the largest selection of foreign language books in the city), but also to try and recreate some pictures taken nine years ago, on my first trip to Japan in 2004. I had some success, considering that I was squinting at my phone in one hand and juggling the camera with the other. I might have to try the picture of me again in a few years with a photographer I can bully into being more accurate – I didn’t want to run out of good will with the old lady I had cornered instead. 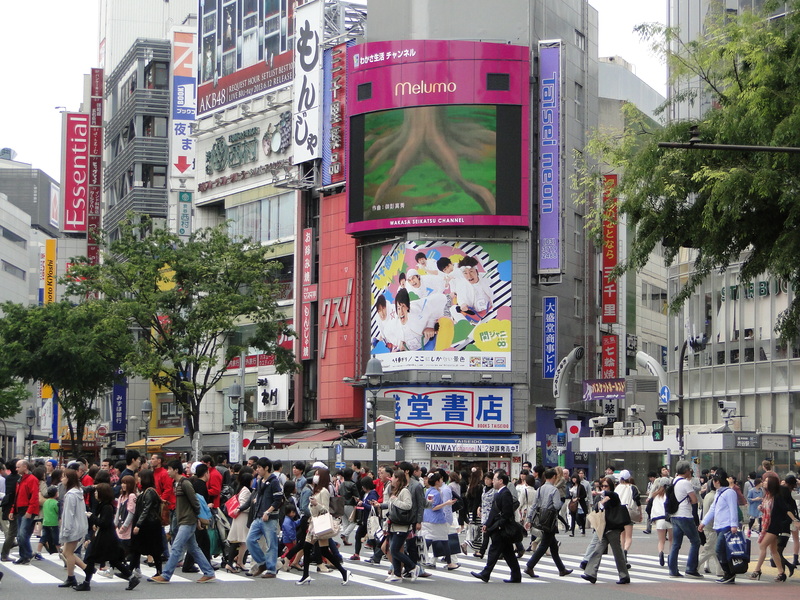 After the morning calm of Shinjuku, Shibuya was complete madness. I had actually never been before, but was lured in by the Tokyu Hands department store and a store that focuses on one of my favorite comics, One Piece. 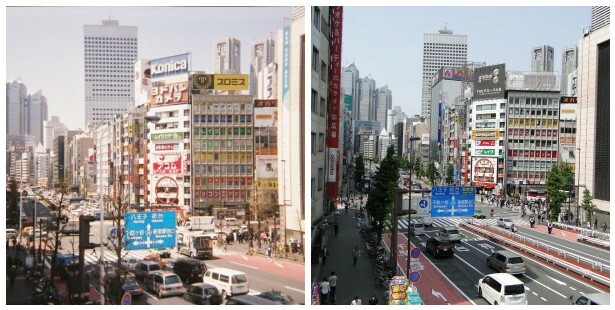 This is the famous intersection that every documentary featuring Japan seems to open with. I swear that a thousand people cross each time the light changes. Shibuya seems a lot more difficult to navigate than Shinjuku – twistier streets, narrower sidewalks. I got briefly lost several times and was extremely grateful that the department store had a shuttle bus running on weekends and holidays. 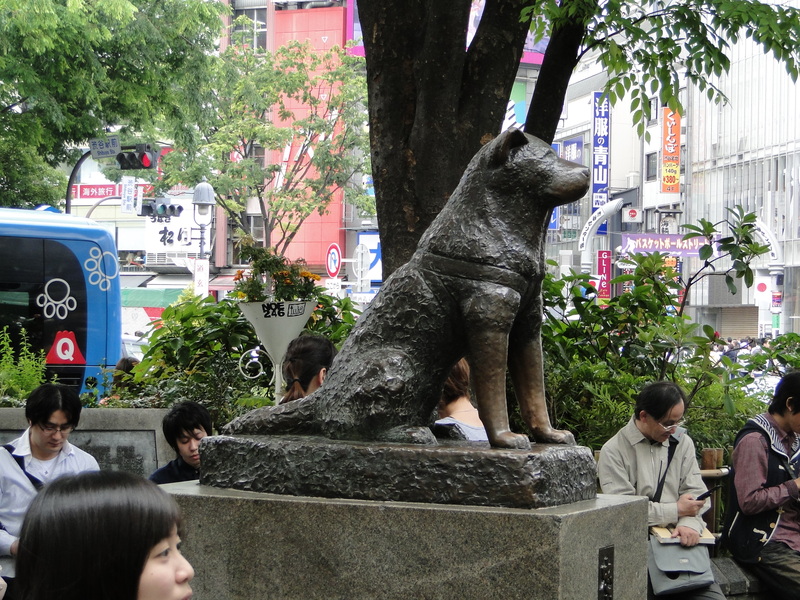 Shibuya Station also features a statue of Hachiko, a dog that waited faithfully at the station for his master to return home, years after the man had died (made into a film starring Richard Gere – what is it with Richard Gere and remakes of Japanese films?). At this point, the dog would need a pedestal to stand on, or risk being stepped on. Fair warning, Sunday was the day I took to geek out by myself. Since I was alone on this trip, I figured I might as well enjoy some things my inner twelve-year-old has been looking forward to for the last 13 years. 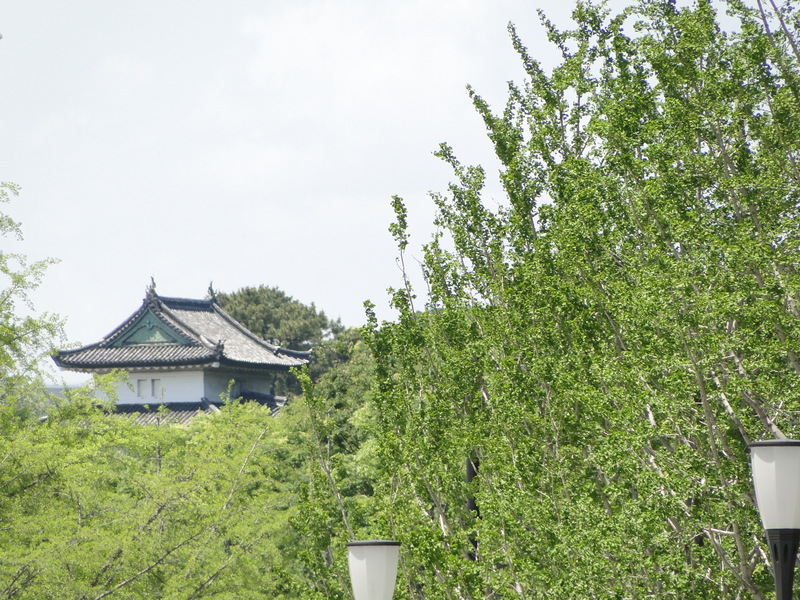 They had various attractions available, including a 500yen trip to the top of the building. Burnt out as I was by my previous trip to the top of a building, I decided to skip that. There was a gift shop selling items from various shows, which was pretty cool. 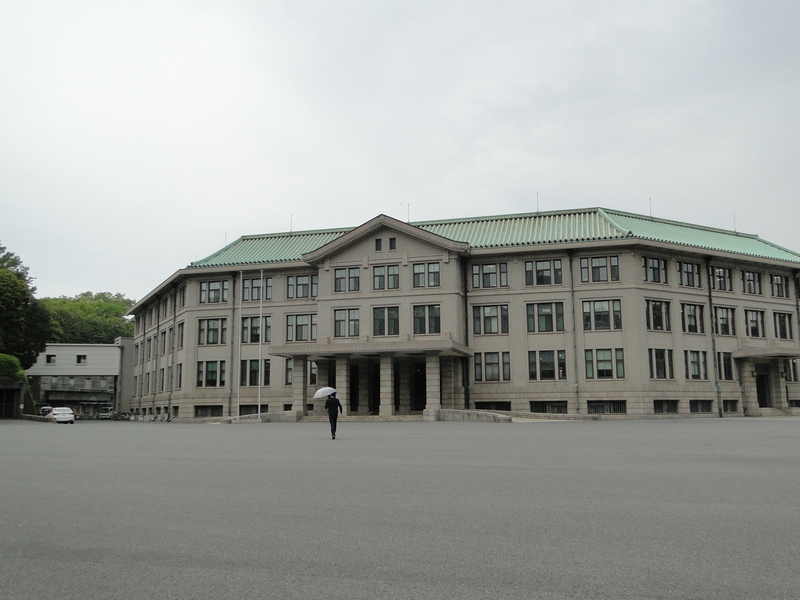 Finally, at the front of the building, you could go in and see memorabilia from shows put on by the network, such as the morning news program, Mezamashi TV and SMAPxSMAP. *** You can also look in on the studios of currently filming shows (since it was Sunday, all that was visible was dark sets and some assembly work). All for free. 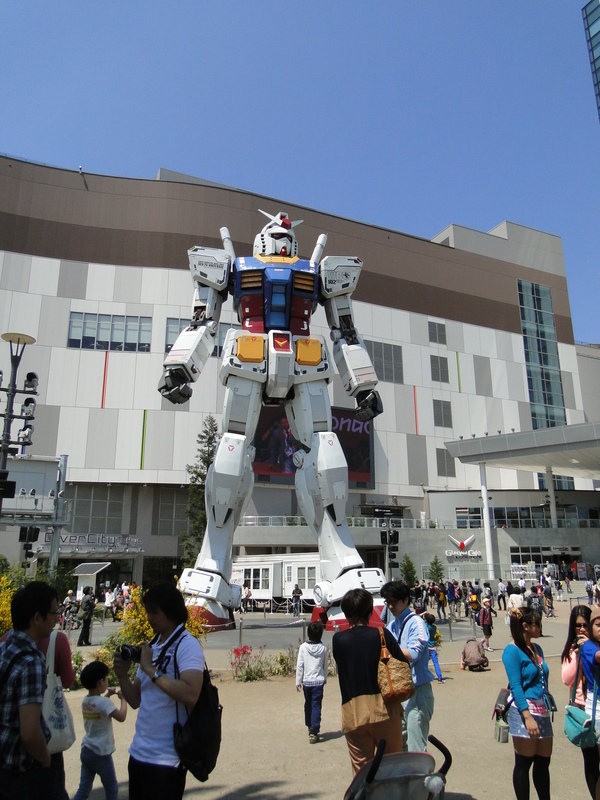 A life-size RX-78 Gundam, from the original series, Mobile Suit Gundam. There’s also a Gundam Cafe (an offshoot of the one in Akihabara) and Gundam Crises, a sort of theme park game. *Waratte Iitomo (It’s Okay to Laugh) – a show that’s been running continuously since 1982. The host holds a record for the longest continued hosting of a TV show, over 5000 shows. **One of which is Sazae-san, which has been on at 6:30PM on Sunday since 1969. Gah. ***A hard to describe show, SMAPxSMAP – cooking show? Comedy sketch show? 2. Know where you are going. Yes, this is different from 1. 3. Don’t go to too many places in one day. I definitely broke all three of these last Saturday. 6AM: Up to drive to the airport. I used to complain in Tucson about the airport being out in the sticks, half an hour away. Now that the nearest airport is an hour and a half away, I think I’ll stop whining. 8AM: Make a note to remember that the airport is actually two hours away, even in early Saturday morning traffic. 9AM: Flight from Hakodate to Haneda, the primarily domestic airport in Tokyo, as opposed to Narita, which is almost two hours away. Just barely catch sight of Mt. Fuji, try to take a picture anyway. 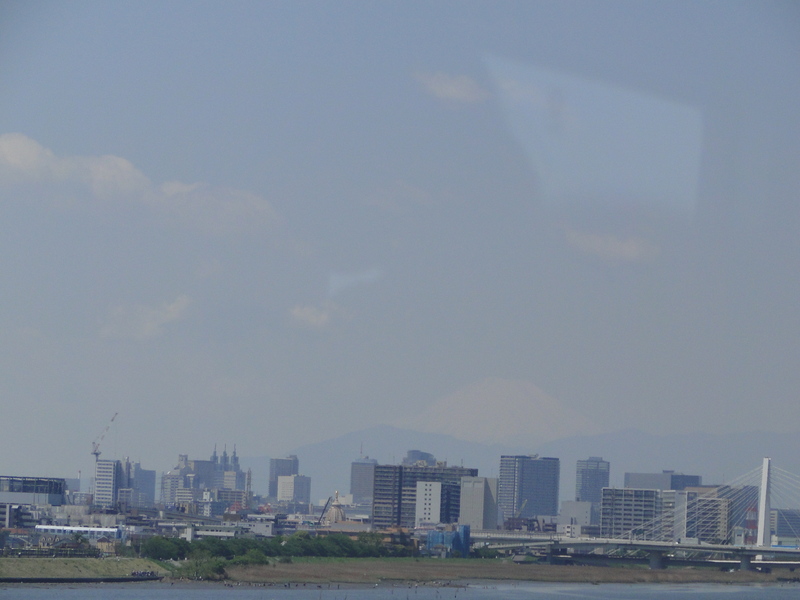 10:30AM: Land at Haneda, grab checked bag, take the monorail into the city. This was a start to a run of extremely fortunate good luck as pertains to public transport. They had a deal running – 500JPY for a trip on the monorail to Hamamatsucho plus a free transfer to the JR Yamanote line, which runs around the central part of the city in a loop, hitting almost all of the major stations, which in turn are connected to the shinkansen, private railways, and subways that cover the city. For the rest of the day, I had no trouble finding the right train, figuring out which platform to stand on, or finding which exit or path I needed to take. 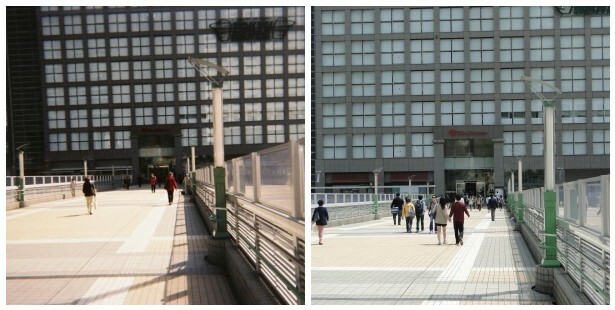 11AM: Walking around, however, turned out to be more difficult. My original plan had been to take the train to Tokyo Station, stash most of my stuff and go shopping/sight-seeing until I could check into my hotel around 3PM. Two little problems – the coin lockers I was intending to use were scarcer than expected and completely full when finally discovered. I finally gave up, bought a Suica card and headed for the Sobu line, figuring that I could drop my stuff off at the hotel to be held by the front desk at least. 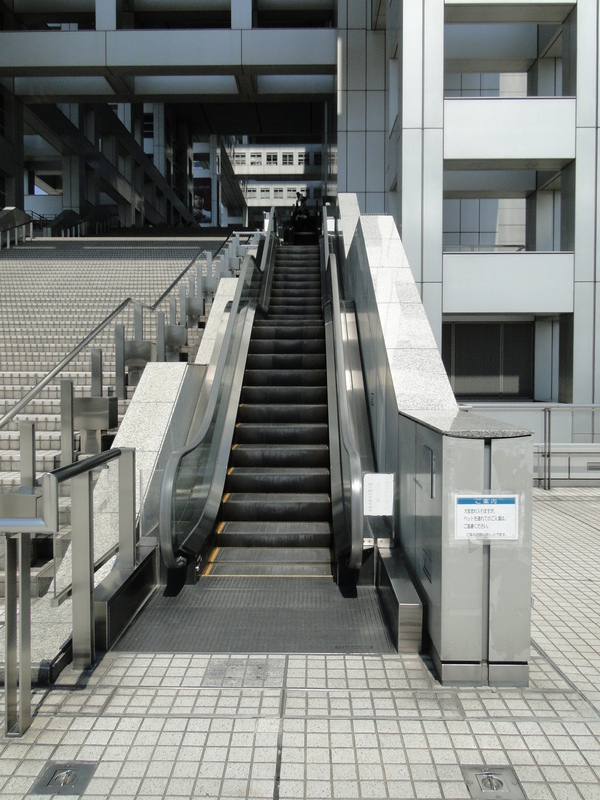 Only to find an empty coin locker on the stairs by the Sobu line. Ditched my stuff and set off with my camera. 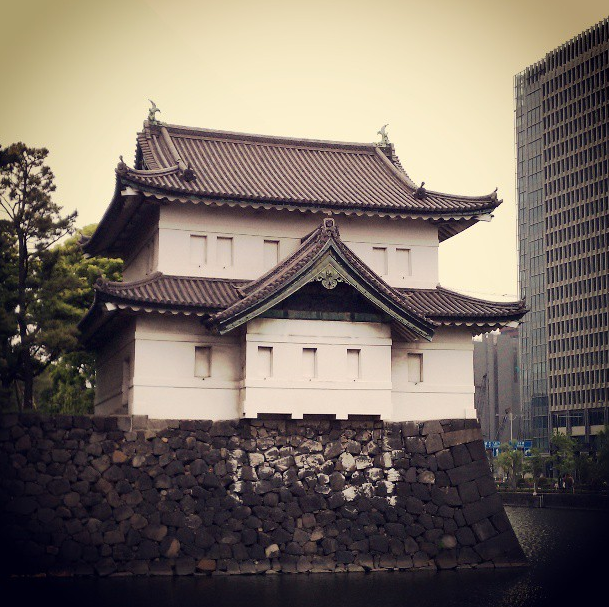 The Imperial Palace, just visible from Tokyo Station. 12PM: Realize that I should have packed sunscreen and a hat. Free of my stuff, fortified with a cheeseburger, and changed into a t-shirt, I’m feeling a lot more optimistic. Misplaced sentiments, as it turned out. I decided to hit Hayashi Kimono, which my guidebooks referred to as an excellent shopping experience within walking distance of Tokyo Station, only to discover why guidebooks also refer to their ‘all information contained within was correct at time of publication, we are not responsible if you walk off a cliff’ policy. Thoroughly walking around the area, asking a helpful policeman, and finally calling them myself, I determined that the shop has either closed or moved. Tsk. Probably the busiest “We’re lost” police box in Japan. 1PM: Walk back towards Tokyo Station, intending to hit Maruzen, described as one of the biggest and best bookstores in Tokyo. This, finally, delivered. It’s four floors out of part of the Marunouchi Oazo building, directly north-northwest of Tokyo Station’s Marunouchi North Exit. The fourth floor has stationery, CDs/DVDs, and foreign language (mostly English, some French and German) books, including a children’s section and a large array of art and photography books. Kind of small, but I’m comparing it to Kinokuniya in my head. I’ll let you know how accurate that is in the Day Three post. Also, you can’t use your Maruzen point card on the foreign language books, you have to get a special English one, which is pointless for me since none of the Maruzens in Hokkaido sell English books. The store also had one of those rare creatures – a sarcastic Japanese bookstore employee. In a land of customer service, it was almost hysterical to have one who produced such quotes as, “Yeah, what do you want?” and “It’s here somewhere in these two shelves. They’re in alphabetical order,” with a strong hint of dumbass on the ‘alphabetical order’. In Marunouchi Oazo’s basement, there are several shops, including a Hands Be (the cosmetics and luggage side to Tokyu Hands, a department store known for stocking hobbyist supplies), a bakery which sells the most divine mini cherry pies (probably seasonal) and a place selling fro-yo. I took advantage of all three. 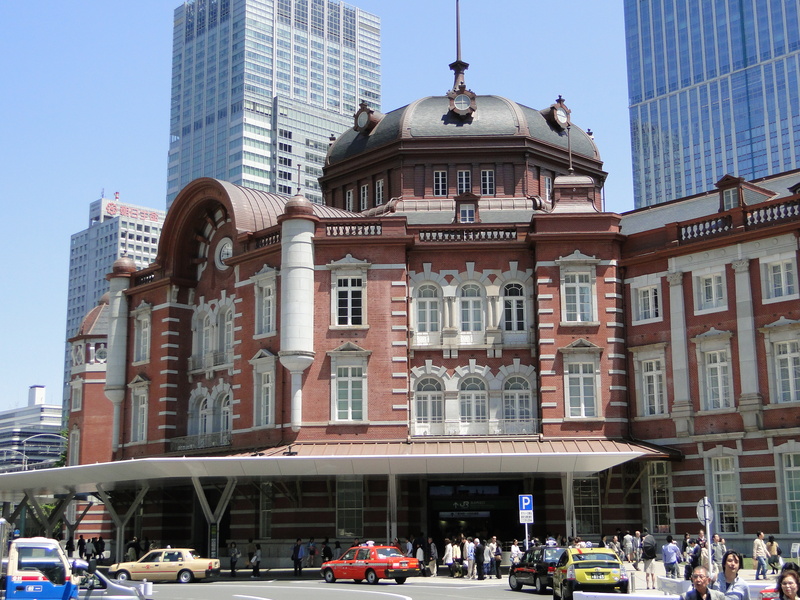 It also connects underground to Tokyo Station. 3:30PM: Drag myself to my hotel in the Nihombashi area. 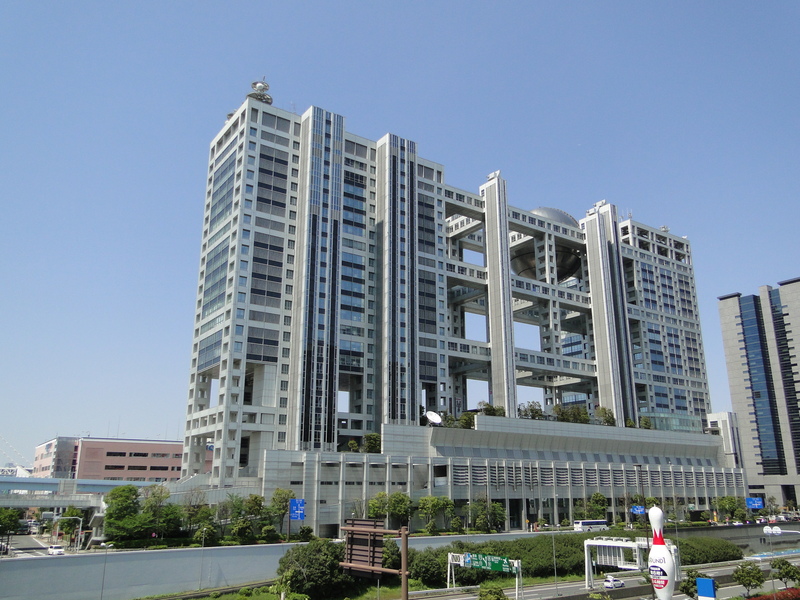 Chosen for it’s proximity to three different subway stations, which between them connect to Tokyo Station, the Shinjuku line, and the Asakusa line. At this point, my legs and feet were figuratively screaming at me, though my left knee might literally have been groaning. 4:30PM: So, of course, after settling in I almost immediately headed back out again. Part of the reason was the weather – sunny over the weekend, getting cloudier starting Monday. 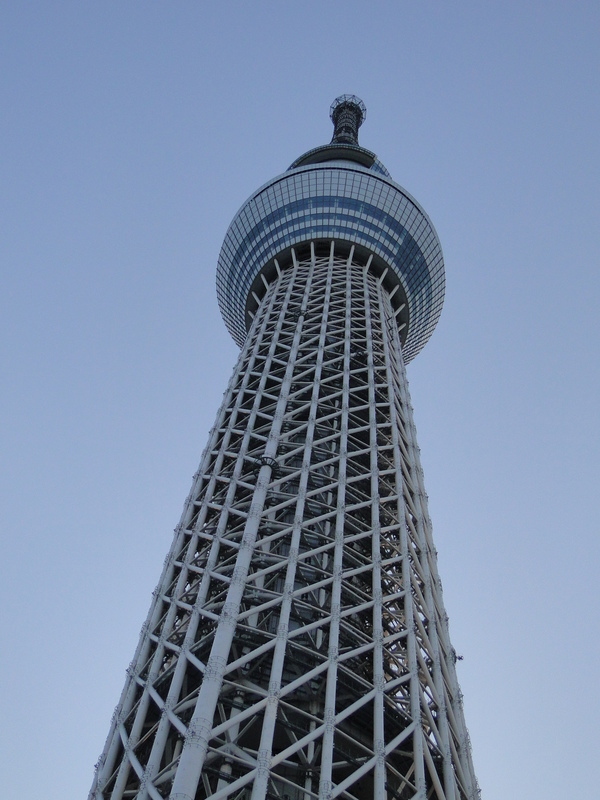 I wanted to go up in Tokyo Skytree while I could actually see something, so I moved that item from Tuesday to Saturday on my itinerary. 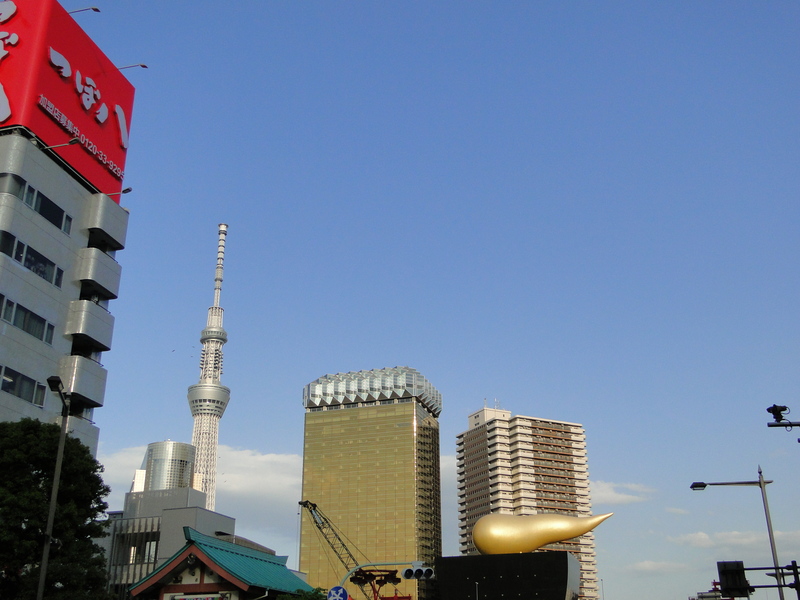 Tokyo Skytree, visible from Asakusa. 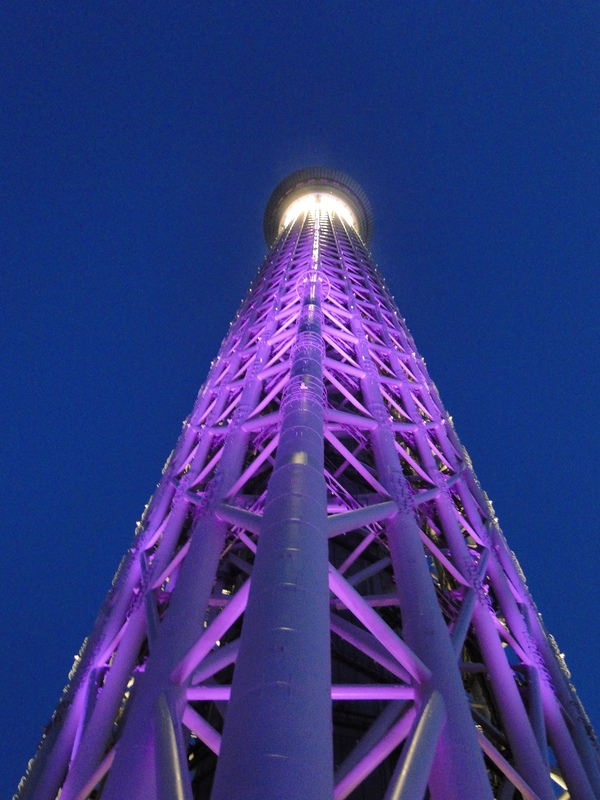 5PM: Arrive at Skytree after tranferring through Asakusa, discover that 4000 people have had the same idea. 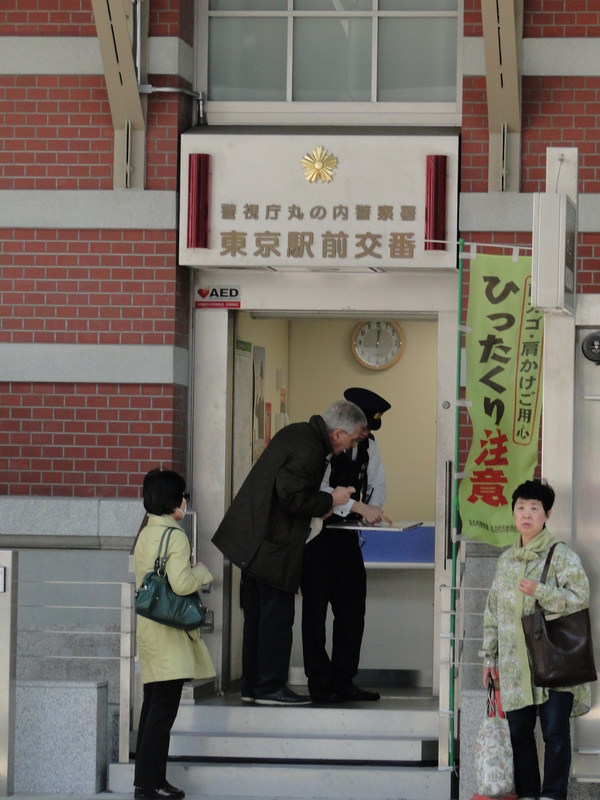 To get in during busy times, you have to get a ‘seiriken’, which has the half hour period of time during which you are allowed to line up and buy tickets. Yikes. I got there around 5:20 and was issued a seiriken for 7PM. Thankfully, the wait wasn’t too atrocious, since they cleverly built the thing surrounded by a shopping center. There were regular shops in addition to souvenir shops (shops I’ve seen before, but with exclusive Skytree goods in addition to their regular offerings) and plenty of restaurants, including a Starbucks. 7PM: Line up to buy tickets. At this point, the sun had set and the tower had been lit up. Apparently they alternate between purple (Miyabi – representing traditional Japanese aesthetics) and blue (Iki – the manly spirit of urban commoners of Edo). 7:30PM Blasted from the 4F to 350m up in less than a minute. By this point the sun had set and all of Tokyo was lit up. In general, the whole thing was a disappointment, mostly because of the wait and the crowd. Tokyo from 350m up is just high enough to recognize everything, but too high to really make out a lot of detail. I can look at good photographs with less shoving and enjoy it more. I might go again one day (especially since I didn’t get to the very top), but maybe in a few years when the fuss has died down a bit. Went on the tour with a bunch of other foreign tourists and some middle-aged Japanese. A rather depressing number of people showed up at the front gate, apparently having not done any research. You need a (free) reservation to get in. Now you know. Not that any of you would ever throw a tantrum in front of a palace guard.